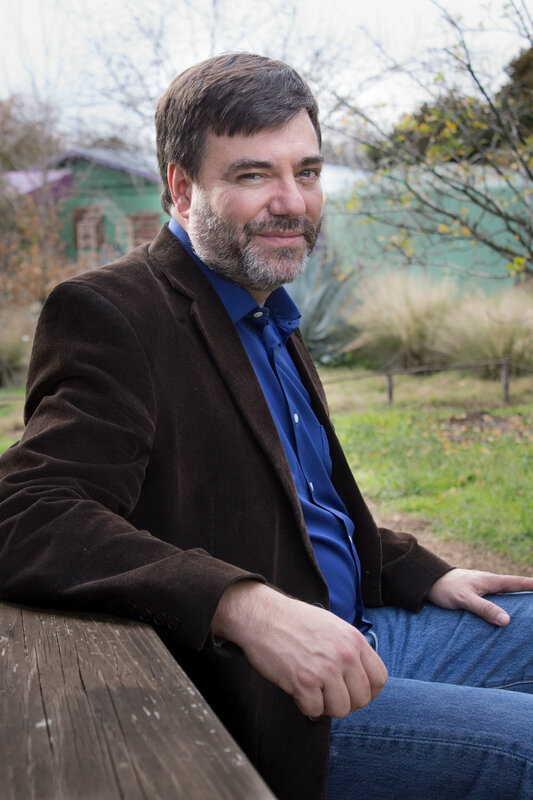 Jeff Knight is an Austin writer of stories, poems, and songs. 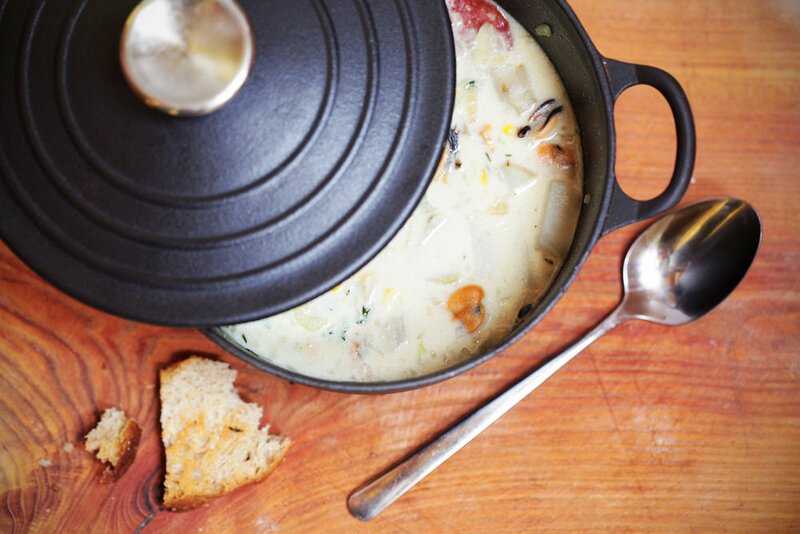 He likes campfires, dogs, guitars, and yes, homemade clam chowder like his Day-Day used to make. Jeff’s work has appeared in Rattle, The Museum of Americana, and Stirring: A Literary Collection, among other places. His e-book novella, Lunchbox Love Letters, is available through Amazon. Or on his YouTube channel, also named Jeff’s Next Page. One minute ago they were talking about dogs, but now the old man has gotten sidetracked. He sets down his coffee mug and scratches the head of his rust-colored mutt, Leia. Leia is pretty happy to hang out on the back porch while Blind Henry holds forth. Blind Henry is just a nickname; he can see just fine. He’s talking to his friend Yamaha, who is a good kid. Kid in relative terms, since Yamaha's in his early forties. He’s good company, for a white guy. Doesn’t talk too much. They knew each other back when Yamaha was Austin’s dope dealer to the stars, and Blind Henry was making custom guitars for the slightly famous. These days, they’re also AA buddies, and they've become close friends. Family, really, at this point. They get together like this most Saturdays at Blind Henry's place in Way-South Austin. The old man got gentrified out of the house he’d been in for years, just a little off of South Congress, but hey, he turned a crazy profit on the sale. He likes this new place fine. The two friends are sitting on the patio, front door open. They’re enjoying cool air and sunshine, talking about life, watching some squirrels do their thing. Blind Henry finds his thread. Leia looks up, ears raised, head cocked, in a way that makes both men smile. He’s a natural storyteller, Blind Henry is, and a good man. He used to be a mean drunk, but all that is twenty-some years behind him now. Yamaha is an earlier chapter in a similar tale. Some backsliding. Some false starts. Re-set the clock, he gets a little steadier each episode. Day at a time, and it adds up to two years today. His life is looking a lot less like a hand grenade just went off in the middle of it. A long way from perfect, but he’s gainfully employed. Most days you’d give him a B+ on hygiene, which is an improvement. He’s a work in progress. There’s like a fifty percent chance that Blind Henry has told Yamaha this exact story before, but neither of them cares. Blind Henry doesn’t care because, hey, if the story was good enough to tell once . . . Yamaha doesn’t care because what he gets out of Blind Henry’s stories is less narrative, more state-of-mind. Does him some good just to hear the old man’s habitual rhythms of speech. It’s more ontological. Yamaha reads a lot of philosophy. He likes to say words like ontological. Blind Henry carries on. Sure, Yamaha knows. He nods. He’s buried a beloved dog or two in his life. Thinks about that a second. Blind Henry continues. Blind Henry takes a sip of his coffee. Yamaha has heard Blind Henry before on the subject of soggy bacon being unappealing in soup. He nods. Yamaha is thinking about dogs and friends and about belonging. He can remember a time when no one was happy to see him, when he, literally, did not have a friend. And for good reason. Everything right now feels the way it is supposed to feel around food, around family. Just exactly right. He breathes in; he breathes out. They head into the kitchen and start chopping things. No Shovel, No Bacon was written by Jeff Knight and is a story about new beginnings. It’s also about some of the ways people can become family to each other, like shared stories, time spent together, and food, just to name a few. At SunLit, we believe in the Power of Story. If you believe too, then share No Shovel, No Bacon with everyone you know. Together, we’ll make the world a better place one story at a time.